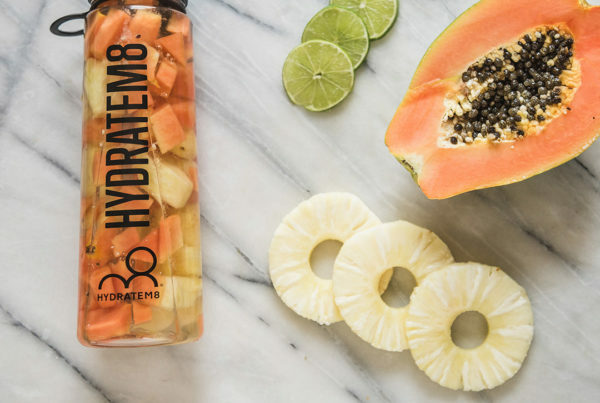 Sweet and delicious, with a hint of citrus from the lime and a tinge of herbs from the rosemary. Rosemary is a delicious aromatic but be careful it does not overpower the other flavours if left too long in the bottle. 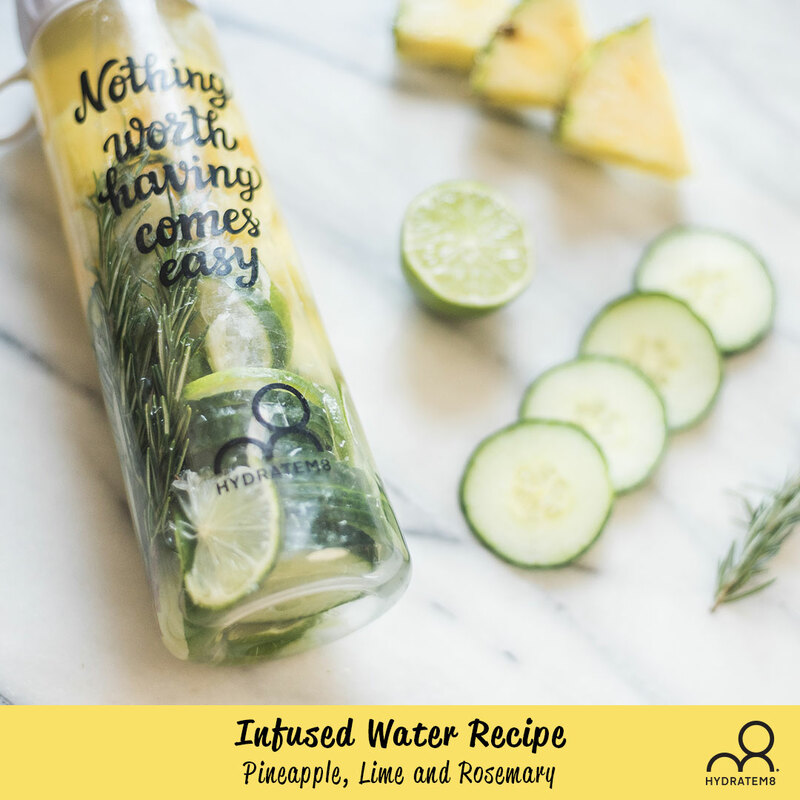 Place pineapple, lime, cucumber and rosemary into your water bottle. 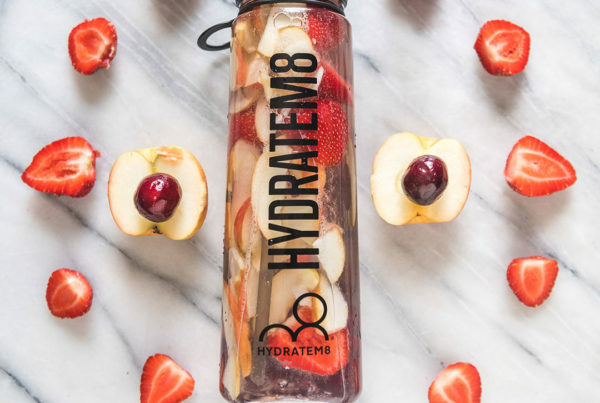 You can either drink straight from your Hydrate8M water bottle or strain into a glass and decorate with more rosemary – you may want to remove the cucumber if it has begun to deteriorate. You can take this out with you in the bottle, but suggest you remove the rosemary so that it does not overpower after a period of time.